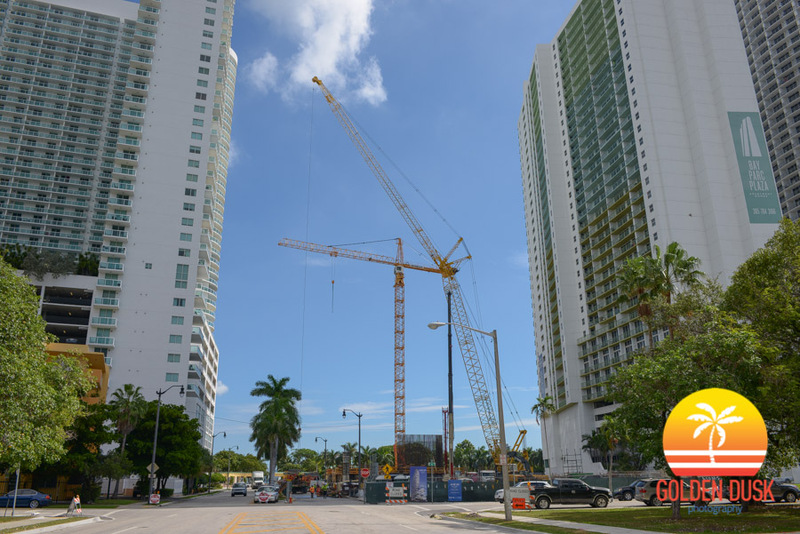 A crane has been added to the Aria on the Bay site in Edgewater and construction has begun on the project. 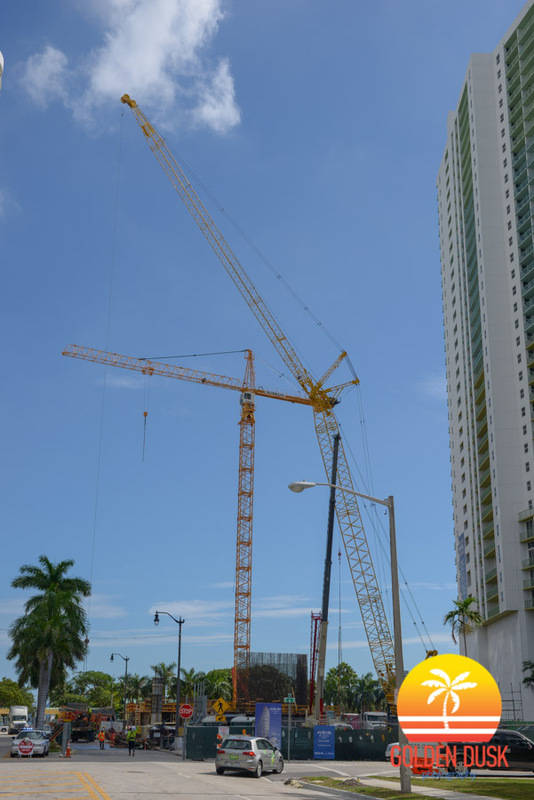 The 53 story condo by Melo Group will have 647 residential units and is located next to Margaret Pace Park in Edgewater. Photos of the low rise apartments previously on the site can be seen here.